It is that wonderful time of year when hedgehogs are courting. You’ll hear them before you see them – they make a really loud ‘huffing’ snorting sound that can keep your neighbours awake at night! Courting generally happens between April and September but, milder weather means that litters are now sometimes being born even in Winter. Hedgehogs normally have four to five babies. They stay in the nest for around 4 weeks and then will accompany mum on foraging trips for around a fortnight, before leaving to go off on in their own directions. It is very important to avoid disturbing a hedgehog nest because mum may kill or eat her babies. Avoid garden maintenance, such as removing sheds or outbuildings, during the nesting season. If you do disturb a nest accidentally, cover it straight back up. Do not touch the babies. Check from a distance to see if mum returns. If she does not and you hear ‘peeping’ (like a baby bird noise) from the nest, the babies are in need of rescue. 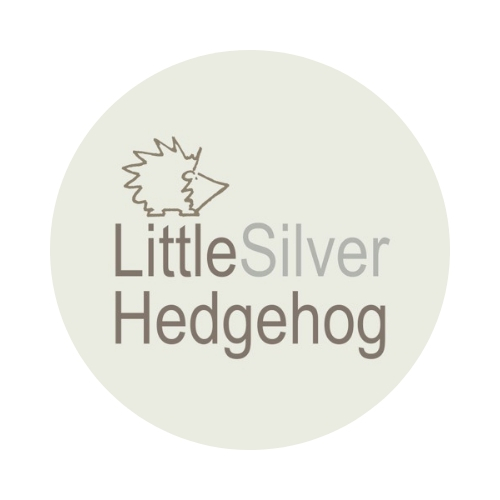 Seek advice from a hedgehog rescue urgently. Do not touch the babies with your bare hands and you need to keep them warm. Hi LSH! I gave you a mention in a recent post. Please have a look – I’m sure you’ll be as excited as me! Just been in garden and one prickly visitor tucking into his/her supper!